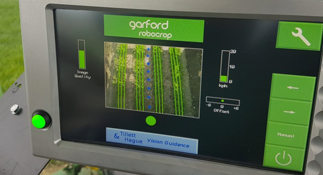 The Garford Robocrop InRow Weeder uses tried and tested Robocrop video image analysis techniques to locate individual plants in order to mechanically remove weeds from the inter row and importantly within the crop row between the plants. 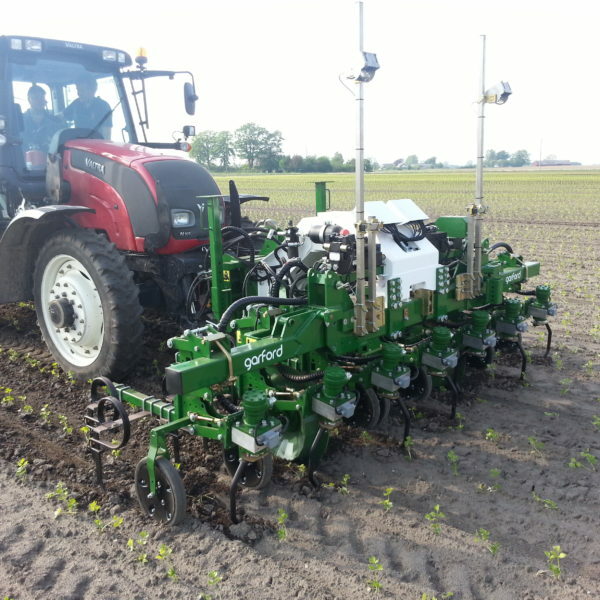 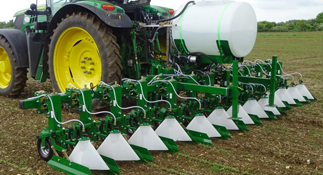 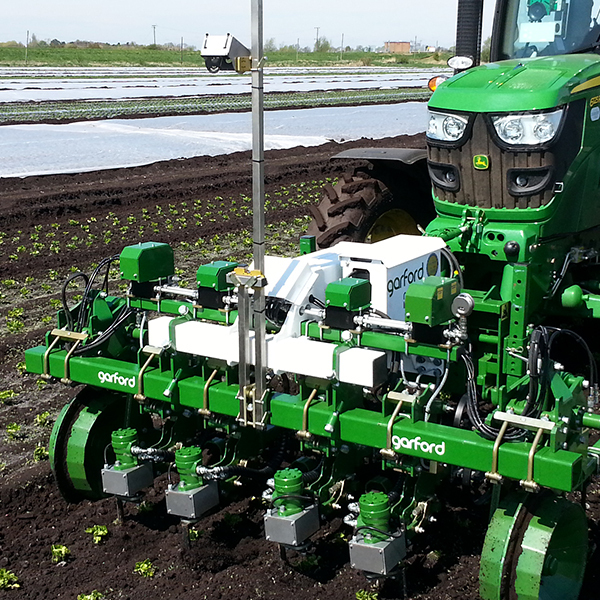 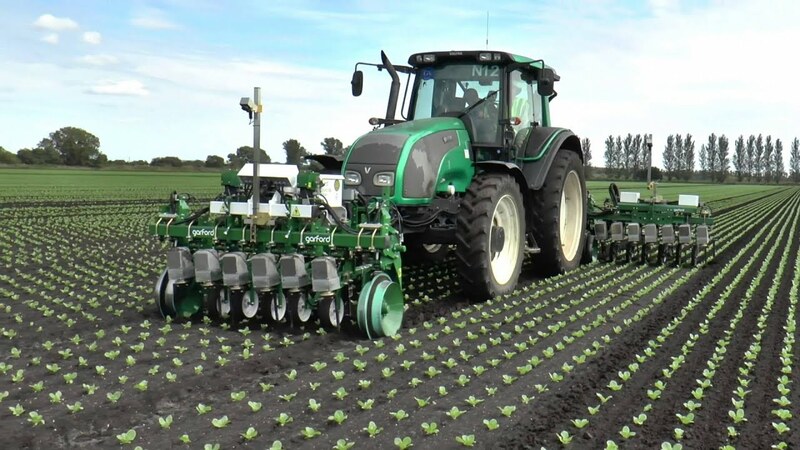 Developed for use on transplanted crops such as lettuce, cabbage, celery etc Robocrop InRow can however be used on most crops that are planted with regular plant and row spacing where the plant foliage is clearly separated from the next plant. 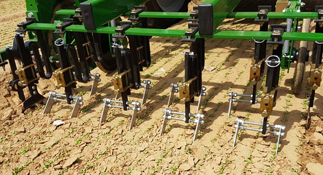 With accuracy achieved of 8 mm distance away from plant stem, not a huge advantage to get any closer as the crop will be out competing the weed pressure closer than 8mm. 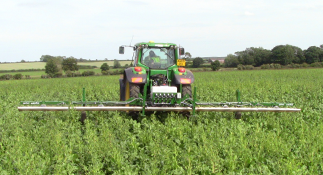 This then allows for a total weed control through the field. 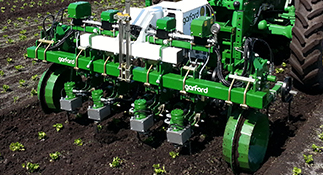 Forward speeds of up to 6 plant spacings per second are possible. 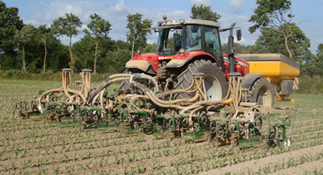 Systems of up to 20 rows and 6mtr working width have been supplied and larger machines are also available. 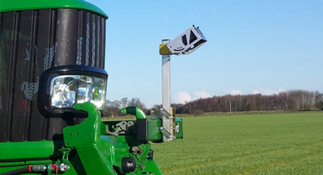 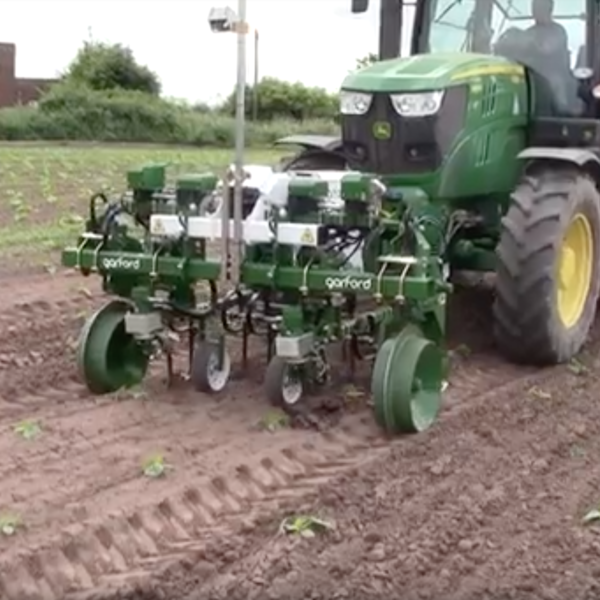 The Robocrop In Row Weeder is ideally suited to the production of reduced or chemical free salads and vegetables, providing the farmer with weed control which has lower costs than the traditionally more expensive manual labour. 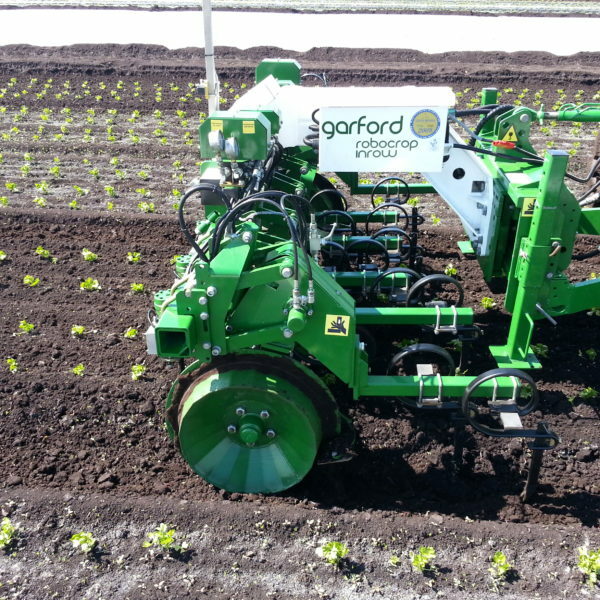 If you would like to find out more about the Robocrop InRow Weeder please contact us on sales@garford.com or via our contact form. 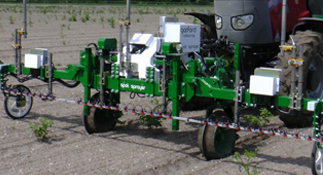 At the heart of the InRow Weeder is the Robocrop Side Shift download the Robocrop Side Shift brochure.